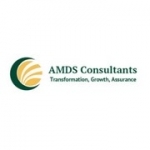 Founded in 1997 AMDS Consultants Ltd have over 50 years accumulated experience in delivering innovative and sustainable IT solutions and business transformation strategies in the private and public sectors wholly focussed on providing a professional independent and expert service to our clients with a particular emphasis on improving business performance. We pride ourselves on delivering cost-effective solutions to customer problems whether the issue is product performance process or programme related. We look to provide pragmatic advice and support that improves our customer's business in whichever way is best suited to their needs and to date we have reduced costs and improved revenues for our clients to a total of £275m and rising. Founded in 1997 AMDS Consultants Ltd have over 50 years accumulated experience in delivering innovative and sustainable IT solutions and business transformation strategies in the private and public sectors, wholly focussed on providing a professional, independent and expert service to our clients, with a particular emphasis on improving business performance. We pride ourselves on delivering cost-effective solutions to customer problems whether the issue is product, performance, process or programme related. We look to provide pragmatic advice and support that improves our customer's business in whichever way is best suited to their needs and to date we have reduced costs and improved revenues for our clients to a total of £275m and rising. We are specialists in system delivery and Customer Centric Business Change and relish implementing business change, new infrastructure, software development and rollout, and other systems projects. 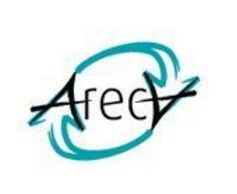 At the same time, our aim is always to add value, by developing internal and external stakeholder relationships with employees, clients, suppliers, authorities and regulators to ensure smooth and all-embracing take up of the solutions we deliver. Our approach focuses on the destination and not on the journey and emphasises our commitment to “thinking outside the checklist" to provide our clients with the outcomes they need. We work alongside our clients in partnership to exploit our wide-ranging business experience. Our driving goal is to realise direct benefit for our customers whether that requires: improvements in top or bottom line profitability; providing new ways of working that improve their customer performance; or helping achieve growth in current and new markets.